The verdict is in. I am a terrible, terrible mom. My child is officially going to be an unintelligent, socially anxious adult with irritable bowel syndrome. How do I know this when she has only just turned two, and seems to be a bright, social toddler with a normal GI system? Because, I have (and still do) let her “cry it out” (*gasp!!*). Today, a mom friend of mine posted this article on her Facebook wall. I couldn’t ignore it, especially given my recent nighttime challenges with my strong-willed little girl who has decided that bedtime has become make mommy crazy time (including last night when I found her asleep with a necklace wrapped around her neck…but that is another blog post altogether). So, I bit. As I read the article, I started getting annoyed. What research is this article based on, anyway? I dug deeper…turning to the Psychology Today piece that was referenced in the article called Dangers of ‘Crying it Out’. I was raised in a middle-class family with a depressed mother, harsh father and overall emotionally unsupportive environment–not unlike others raised in the USA. I have only recently realized from extensive reading about the effects of early parenting on body and brain development that I show the signs of undercare–poor memory (cortisol released during distress harms hippocampus development), irritable bowel and other poor vagal tone issues, and high social anxiety. The USA has epidemics of poor physical and mental health (e.g., UNICEF, 2007; USDHSS, 1999; WHO/WONCA, 2008). The connection between the lack of ancestral parenting practices and poor health outcomes has been documented for touch, responsiveness, breastfeeding, and more (Narvaez et al., in press). If we want a strong country and people, we’ve got to pay attention to what children need for optimal development. Now, I will be the first one to tell you that I think children of all ages need to feel love and security from their caregivers in order for them to grow up to be healthy, loving adults. And do I think it is OK for someone to bring a newborn baby home from the hospital and expect it to learn how to soothe itself right away? Of course not. 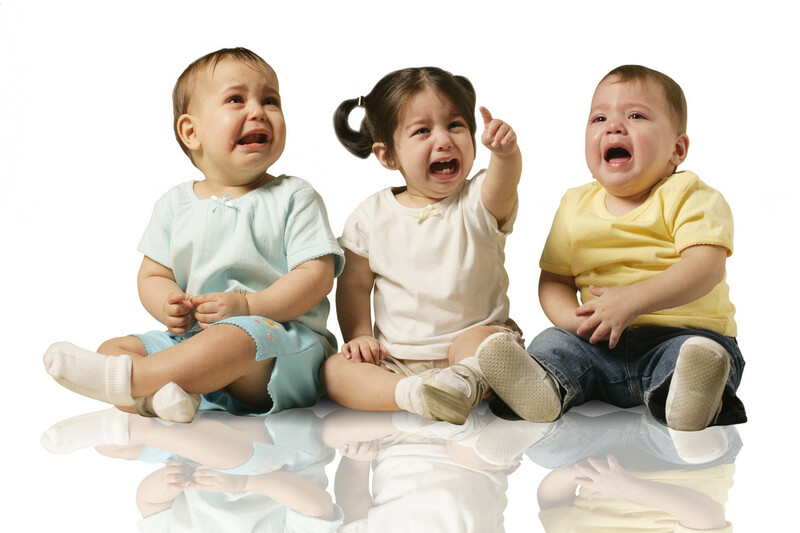 Young babies have no way of soothing themselves, and have not learned coping skills yet. But to say that letting a baby cry alone in her crib, after you have rocked her, nursed her, burped her, changed her, swaddled her, rocked her again, taken her for a car ride, given her a soother, talked to her, and paced with her, is going to permanently damage her for life is a bit of a dramatic statement. What does extensive baby crying signal? It shows the lack of experience, knowledge and/or support of the baby’s caregivers. That’s right about where I lost it. Does this woman have children? If so, they must be robots. In my case, and in the case of most mothers I have spoken to, sometimes babies cry for no reason! It isn’t because I don’t know what I am doing, or not supporting my baby…sometimes, like all of us, they just need to let it out and have a “moment”. So that’s my momfession; I let my kid cry in bed (she’s doing it right now, in fact). And according to some lady with a PhD, I am killing her chances of getting into Harvard or becoming the life of the party. But you know what? I have a feeling she will be OK. I mean, Darcia Narvaez said it herself…she is a product of an “undercaring” environment and look at her: she’s a doctor who publishes ridiculous stories in a well-known magazine. How’s that for success?! And if Kailyn does end up emotionally, physically and intellectually scarred for life, I will be the first one to admit my terrible mistake. Hell, I’ll even pay for her therapy sessions.